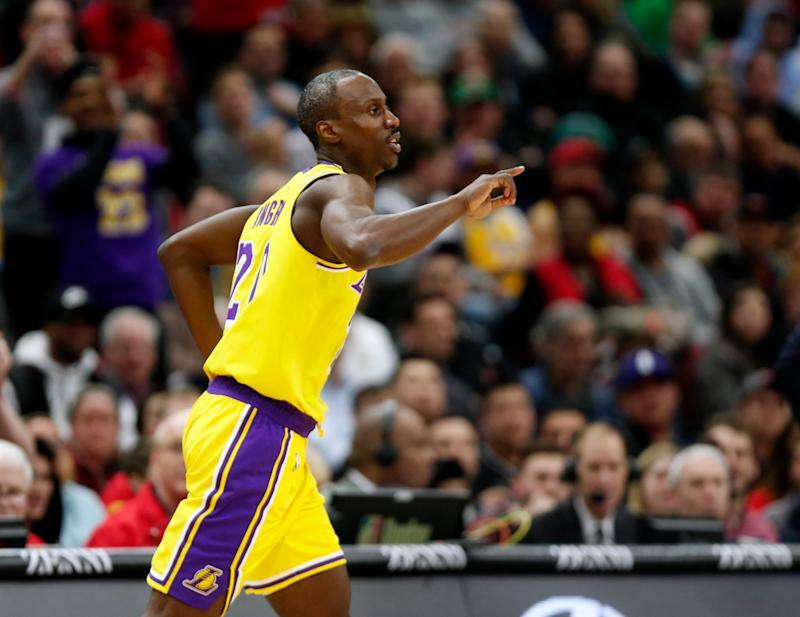 It appears that Andre Ingram’s latest stint with the Los Angeles Lakers has come to an end. The Lakers — who signed Ingram to a 10-day contract earlier this month, nearly one year after he made his NBA debut as a 32-year-old with the franchise in perhaps the best feel-good story of last season — are not renewing his contract, according to Bill Oram of The Athletic. The Lakers are not renewing Andre Ingram's 10-day contract, source says. Ingram will return to the South Bay Lakers for their final two games of the season this week, according to Oram. The 33-year-old had a minimal impact with the Lakers and failed to score since he joined them for their five-game road trip earlier this month. He averaged 0.5 rebounds and 0.3 steals while playing just 3.8 minutes in four games. He went 0-6 from the field in that time, too. The 6-foot-3 guard became the oldest American rookie in the league since 1964 last season, when the Lakers called him up for their final two games of the season. Ingram dropped 19 points off the bench in his debut against the Houston Rockets last April, shooting 4-of-5 from the 3-point line, too. He followed it up with a five-point, six-assist performance in the Lakers’ regular-season finale last year, too, before he was sent back to the G League. Ingram — who has been in the developmental league for 11 seasons and is the leader in games played in the league — has averaged 8.6 points and 2.7 rebounds in 35 games for the South Bay Lakers this season.